Direct Booster Unit MUT, are especially designed and dedicated products, generally indicated for distribution of the heat transfer fluid at a temperature suitable for the operation of the plant, both in multi-level or multi-zone buildings. 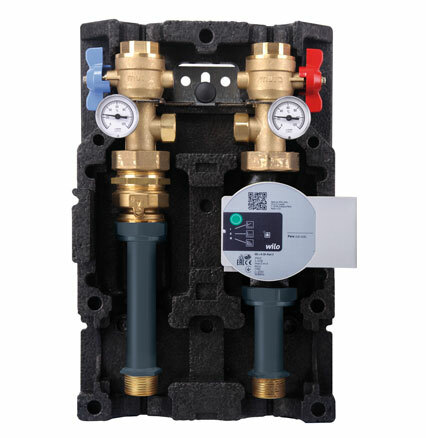 MUT series GRD Direct Booster Units perform the function of supply directly the water to the circuits of heating and cooling system. Direct Booster Units GRD series are supplied as standard with preformed shell insulation in EPP high density and are equpped with high-efficiency pump, thermometers on supply and return circuits, check valves.